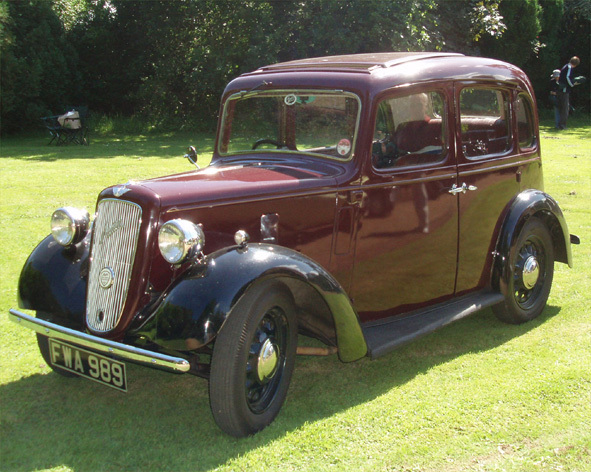 The Austin "Seven" was introduced in 1922 and remained in production until 1939. Almost 300,000 were built, of which 10,000 are known to survive worldwide. Built at Longbridge, Birmingham, it was intended to provide affordable four-wheel transport for the working man and his family. 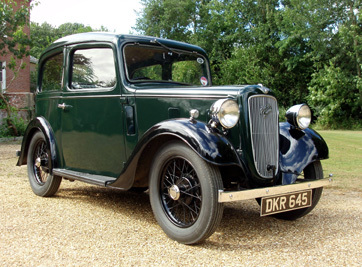 Austin produced tourers, sports cars, saloons and van versions of the "Seven", while specialist coachbuilders such as Swallow - the forerunner of Jaguar - used the chassis as the basis for their own cars. The "Seven" was exported across the world and produced under licence in Germany - where it was the earliest BMW, France, Japan - the original Datsun, Australia and the USA. The first Lotus, built by Colin Chapman in 1948, was a trials car based on the "Seven". The earliest models had a 696cc engine and a three-speed crash gearbox, with a wheelbase of six feet three inches. It was available only as an open tourer with just enough room for two adults and two small children. This type of body was and is known as a "Chummy". The engine was soon increased to 747cc and a saloon version made available. A four-speed gearbox became standard in 1932 and synchromesh was introduced in 1933. 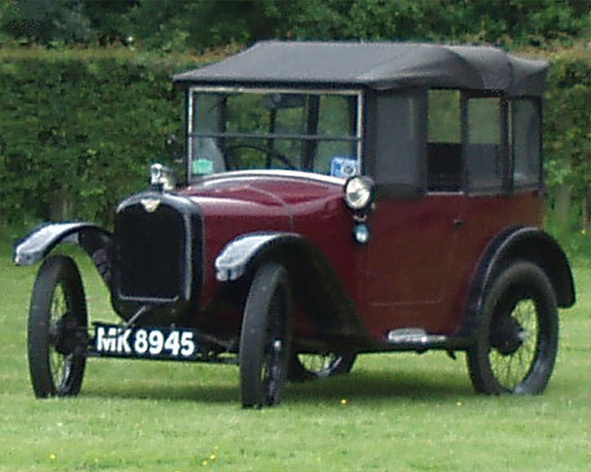 The first sporting "Sevens" appeared soon after the introduction of the "Chummy", but the first to be made generally available was the "Ulster", in 1930. Capable of 70mph, it could be supplied with a supercharger. By 1930, saloons had overtaken open tourers in popularity and the model now known as the "Box Saloon" was born. In 1932 the	chassis was lengthened by six inches to give more room for the rear seat passengers. The most radical change came in 1934. The flat-fronted, chrome-plated radiator was replaced by a cowled and painted shell, while the body's boxy outline was softened by gentler curves. This was the "Ruby" saloon, which, together with the "Opal" two-seater and "Pearl" cabriolet, would remain in production until January 1939. 1938 saw the introduction of the four-door "Big Seven", with a longer chassis and a 900cc engine. However, this model did not prove a success and production also ceased in 1939. 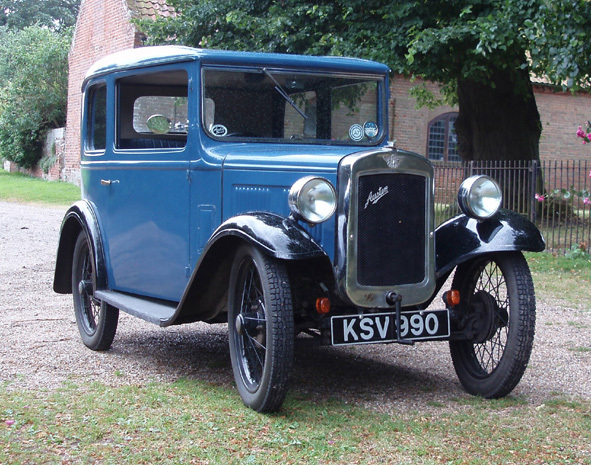 Want to know more about the Austin Seven? NA7C has an extensive library of Austin Seven-related books.